You'll be £10.19 closer to your next £10.00 credit when you purchase Mainline Railway Stamps. What's this? 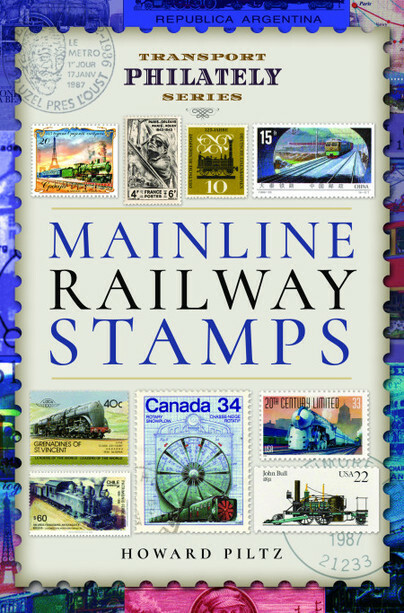 The book has been well researched, well written, and with some excellent pictures of many railway stamps from around the world. I can see a number of stamps which I have in my collection and I am not a railways specialist. This is a handy reference book for the seasoned collector and the beginner alike, a book which I can highly recommend. A book that, although small in size, is very large in terms of the quality of its illustrations and the philatelic information it contains. In Addition, like all the books of Pen and Sword Books, it has a very careful layout.